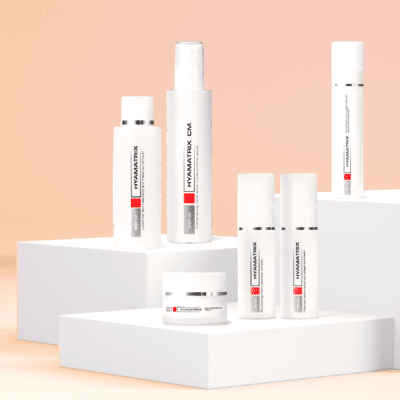 Resist the dehydrating effects of climate, travel, and day-to-day living with HYAMATRIX® Thermal Water with Hyaluronic Acid. 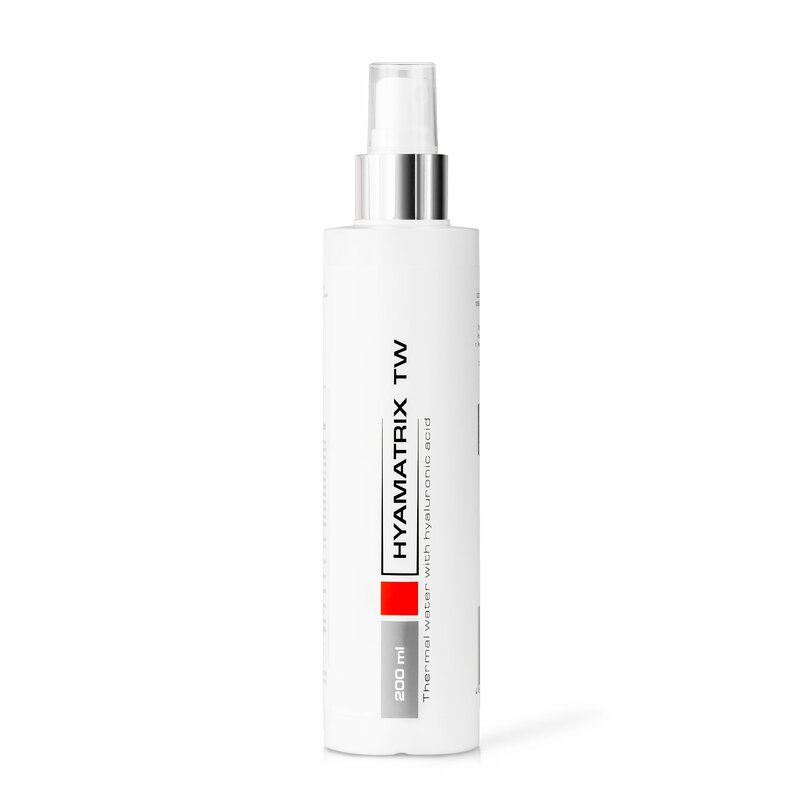 This fine, multi-tasking mist provides a veil of deep hydration while calming your skin for a luminous glow. Formulated with sea salt, hyaluronic acid and D-panthenol, Thermal Water replenishes your skin with needed minerals and moisture. Plus, it creates a completely invisible barrier on your skin to protect against damaging environmental factors. Use throughout the day to refresh skin. Thermal Water is also an incredible solution for soothing and healing sunburns! 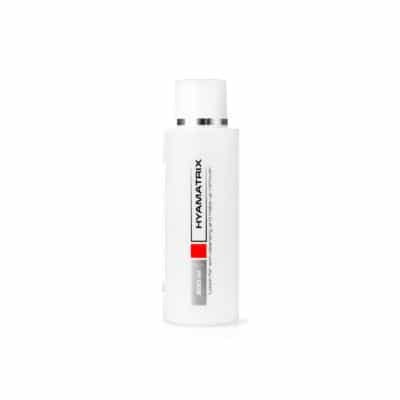 Provides immediate yet deep hydration with low molecular weight hyaluronic acid. Neutralizes free radicals and supports the barrier function of skin to protect against aging. Suppresses inflammatory reactions to soothe irritation and redness. Nourishes and promotes skin healing. 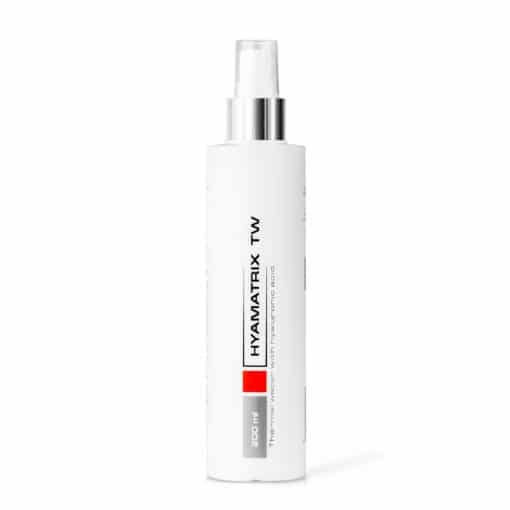 HYAMATRIX® Thermal Water with Hyaluronic Acid can be used to add instant hydration to any skin type. Since it’s fragrance-free and has strong anti-inflammatory abilities, we recommend it for even the most sensitive skin. Thermal Water can also be used to speed healing on sunburn or traumatized skin, such as after microneedling or acid peel treatments. 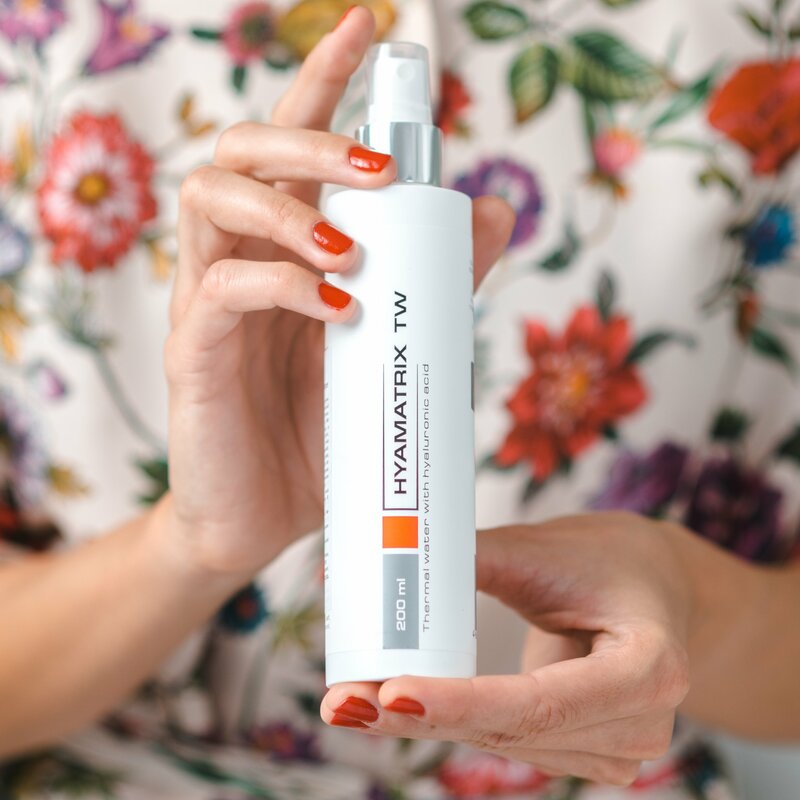 HYAMATRIX® Thermal Water can be used after sunbathing, during travel, or just to refresh skin and makeup throughout the day. 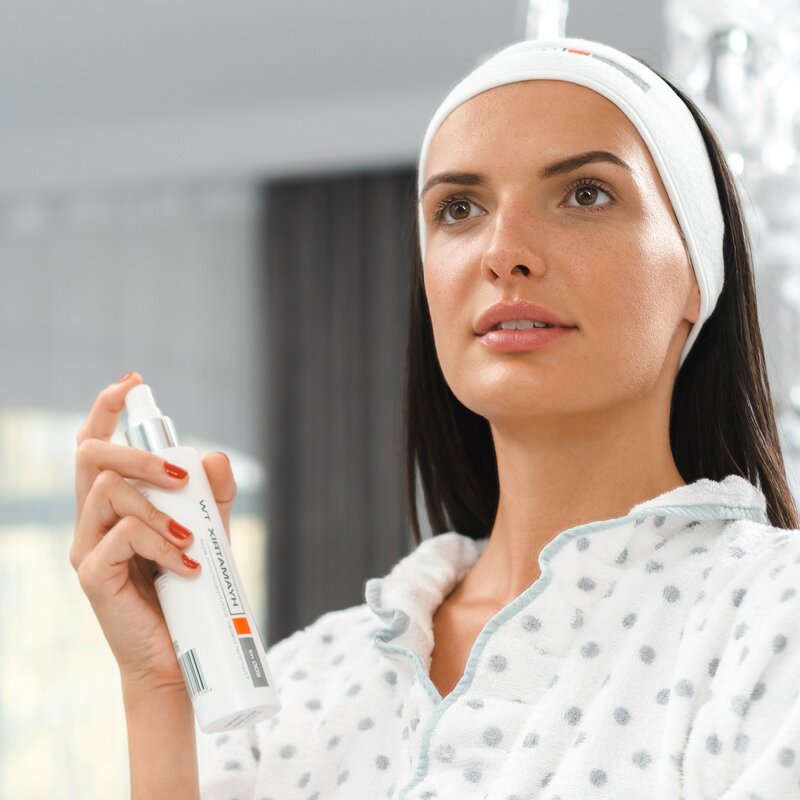 Holding the bottle 20cm (8 inches) away from the face, spray directly onto skin. Low Molecular Weight Hyaluronic Acid – Moisturizes and plumps skin. 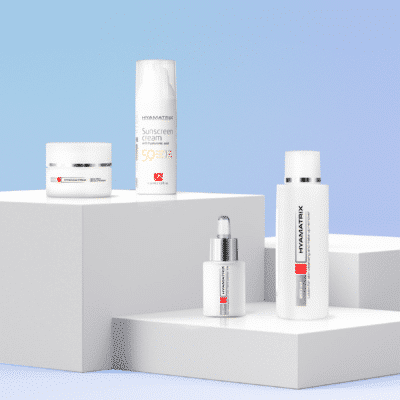 Because of its small molecule size, this form of hyaluronic acid hydrates skin to its deepest levels. Sea Salt – Nourishes skin and promotes healing with skin-loving minerals like magnesium, calcium, and potassium. D-panthenol – Reinforces skin’s natural protective barrier by attracting and holding moisture. Strong anti-inflammatory properties reduce irritation and encourage healing.